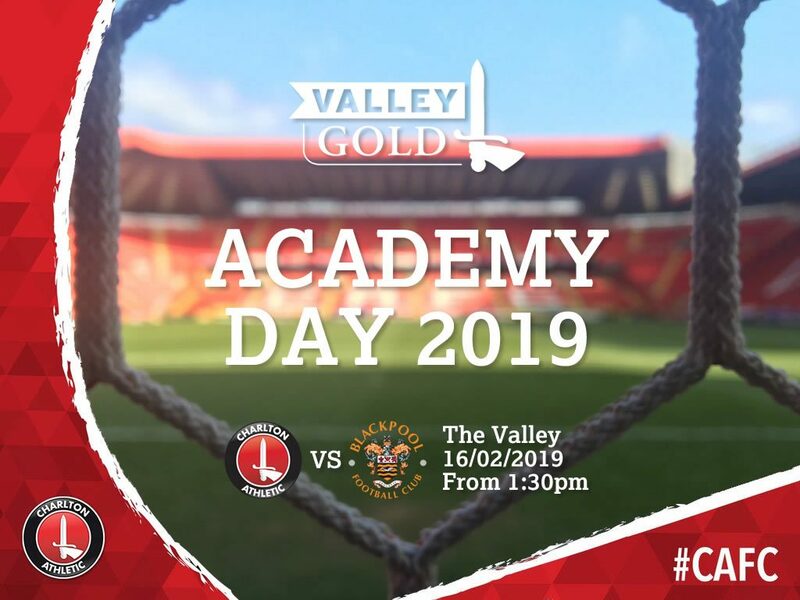 The Charlton Athletic Academy will be present on the 16th February 2019 at the home game against Blackpool for the club’s annual Academy Day. Make sure you come and meet some of the U23s squad with Jason Euell in the club shop from 1:30 pm. Members of the U18s squad will be with the Jackpot sellers on the day, and most of the players will be very happy to chat about the Academy and Valley Gold. We will have also the U9s and U10s in Valley Central that will take on all comers at a number of games, so if you think you are good at table tennis, PlayStation or Xbox video games come along and pit yourself against the younger members of the Academy.